What are Air Charter Services? Air Charter Service is a travel system in which users rent a whole plane to perform private trips according to their particular needs. The difference with regular Airline seats - even with first class seats- is that the Air Charter Service companies provide the exact conditions that the users need: departure time, itinerary, cargo transportation, aircraft type, etc. It has been becoming increasingly popular since the late 1990s due to the acceleration and competitiveness effects generated by business globalization. 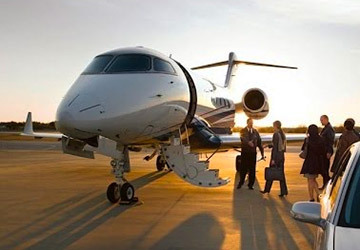 Why users choose to use Air Charter Services? 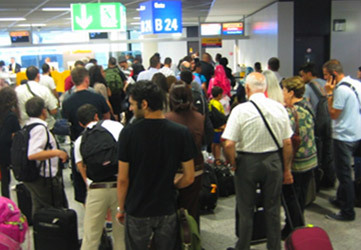 Travel Stress is becoming a very serious problem for businessmen as regular airline flights get more crowded, noisy and unpleasent by the hour. Also, staff service is logically getting less and less personalized and polite. It's known that stress in business highly reduces efficiency and may be a threat to one's health. The World Bank studied its own travelers and discovered that both their physical and mental health-care claims were significantly greater than those of non-travelers. So, one way to avoid this is by reading self-help books and learning how to relax while waiting at the boarding line or when some child is kicking your seat. Also wearing uncomfortable noise cancellation headsets, and do some meditation when the airline informs you that they have misplaced the luggage. Another way is by using Airline Charter Service. Of course it will mean an investment as prices exceed regular airline tickets, but it is without question a profitable investment. Stress will be only a memory, while the boarding process is a breeze, you fly on a luxury private aircraft, receive meals at international cuisine level, carry as much cargo as needed and depart precisely at the required time. This is why users that have tried Airline Charter Service can hardly go back to regular airline seats, because they have tasted the real way businessmen should fly.